Health and wellness are terms that are often used interchangeably and both are important in physiotherapy. While the terms are similar, they do have slightly different meanings. Health refers to the state of wellbeing in physical, mental and social terms, rather than just the absence of disease. 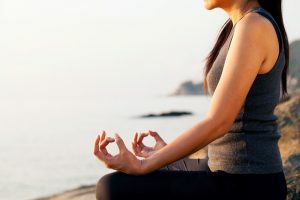 Wellness, however, encompasses the ability of a person to experience personal growth in emotional, physical, psychological, spiritual, social and intellectual terms. Both are important factors in maintaining a high quality of life. Unfortunately, most healthcare systems cater primarily towards cure rather than prevention. An active lifestyle is one of the most effective ways of preventing the development of chronic diseases later in life, as well as being key when managing pre-existing conditions. Physiotherapists are well positioned to help you to develop and maintain an active lifestyle. It is widely accepted that chronic, or non-communicable, diseases (NCDs) are the leading cause of death and disability in the modern world. The four most common of these are diabetes, cardiovascular disease, cancer, and chronic respiratory conditions. They have a common theme: each is associated, at least in part, with individual lifestyle choices and behavioural patterns. Person-dependent factors including diet, exercise, alcohol and tobacco use play a role in the development of these chronic diseases. For example, current guidelines suggest that healthy adults should undertake 30 minutes of moderate intensity exercise five days per week, in order to maintain ideal body weight and physical fitness. People who have pre-existing conditions such as diabetes need specifically tailored advice, which their physiotherapist can provide. Goal setting can also be a useful tool in the development of health and wellness. Physiotherapists can help you to set and achieve SMART goals; i.e. objectives that are specific, measurable, achievable, realistic and timely. Little by little, you too can work towards the ultimate goal of total wellness and health! Speak to your physiotherapist about how you can improve your health and wellness.